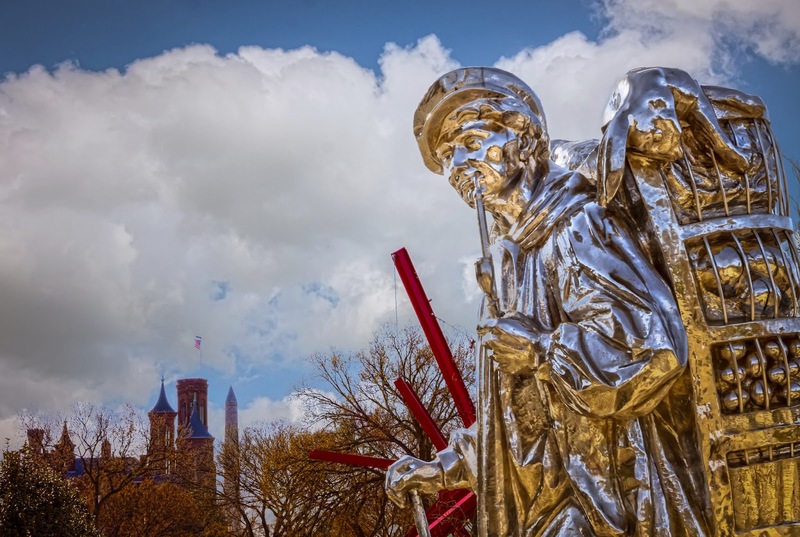 A sculpture, located on the grounds of the Smithsonian Institution, Hirshhorn Museum and Scupture Garden in Washington D.C., of the traveling salesman of Westphalia, Germany. Kiepenkerl traveled the region offering quality goods such as vegetables and seeds. An HDR image from three exposures with a 2ev. spacing. Processed with Photomatix 4, Photoshop 5 and Lightroom 4.